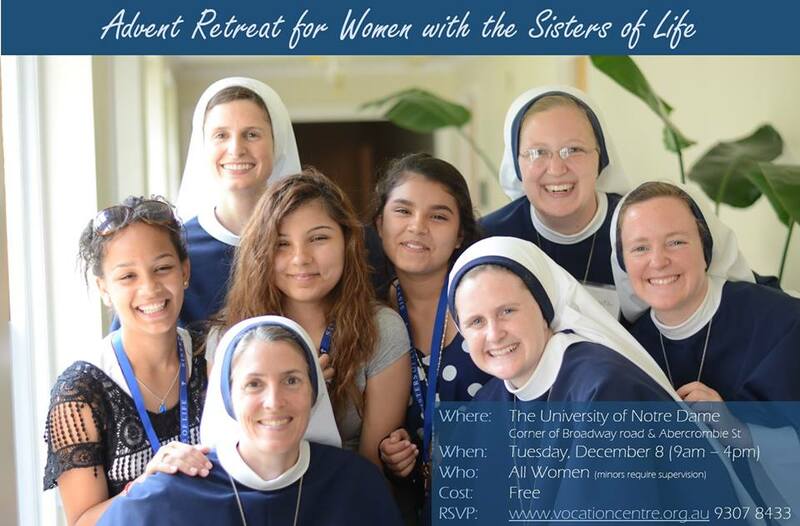 We are pleased to let you know that the Sisters of Life from New York will be leading this year’s Women’s Retreat at Notre Dame! Taking place on the Solemnity of the Immaculate Conception and the first day of the Jubilee Year of Mercy, the Retreat is a wonderful way to prepare for the coming of the newborn Christ child. Women are invited to spend the day listening to inspiring talks by the Sisters of Life. There will be Mass and opportunities for Confession as well. Morning tea, lunch and afternoon tea will be provided. In past retreats, over 300 women have attended.